India continued to be the world’s top recipient of remittance from its diaspora, gathering $69 billion in 2017–nearly 1.5 times India’s defence budget for 2018-19–an increase of 9.5 percent from the previous year, according to World Bank data. Remittances to India from its diaspora increased 22 times to $69 billion in 2017 from $3 billion in 1991, but as a proportion to gross domestic product fell 1.2 percentage points to 2.8 percent in six years to 2017. Such remittances increased nine times worldwide to $613 billion during the same period. The countries that followed India in receiving remittances were China, The Philippines, Mexico, Nigeria and Egypt, according to the latest migration report by the World Bank. The facade of the coalition of opposites, that came together in early 2015 to uphold larger national interest and ensure the integrity, security and development of J&K, ended on June 19, 2018, with the BJP withdrawing support. Ironically, the party cited the same reasons for its exit as it did for the union. The blame game is acrimonious, but there should be no doubt that that the two parties have been “partners in crime”. People have never been more alienated, little or no development has taken place and the security situation has deteriorated, not so much due to the level of violence but due to active popular support for terrorists in the form of the violent “stony intifada” and direct interference by the people with conduct of operations. India science suffers because we don’t nourish ecosystems by creating clusters of excellence. Here’s what our institutes need to do to change this. There has been an explosion in the quality and quantity of scientific research output from India in the past decade. Despite this, the overall “heft” of scientific research from India remains microscopic. At the table of world science leaders (eg. the USA, UK, Germany, Japan, now China) we don’t have a seat. But this article isn’t about the problems in Indian science. (Indeed, there is much to be positive about.) Instead, we focus on one visible lacuna, and how it can be filled. There is a “scaling while increasing quality” problem in Indian science, and a severe lack of clusters of excellence with enough critical mass. Almost everyone in Indian science acknowledges this, but then what is the best way to scale up? And are there lessons we can learn from other successful examples elsewhere in the world? Last month, Pakistan introduced the Gilgit-Baltistan Order 2018 as the latest set of laws designed to govern the region located at a strategical point sharing borders with China, Afghanistan and India. After a few days of hopeful cease-fire for the Eid holiday – and remarkable images of Taliban and government security forces embracing – Afghanistan seems headed back to the insurgency that has plagued it for 15 years. America’s longest war grinds on with little hope, with neither side able achieve a lasting victory. What could break the deadlock? Where should the U.S. focus its efforts to find a path to a negotiated ending to a violent civil war, such as we saw in the Balkans in the 1990s and in Colombia this decade? Two vital fronts of this challenge are closely linked: addressing the endemic problem of corruption and finding a viable economic model for the country. And a key source of both potential wealth and ongoing corruption is Afghanistan’s abundance of minerals, thought to be worth as much as $1 trillion by some sources. The outcome of the current fighting season in Afghanistan, which started early in the spring and will end before the first snows cover the mountain passes, is decisive for the Trump administration because the premise of the new US strategy in Afghanistan centers on pressuring the Taliban and compelling them to the negotiation table. However, the Taliban have adopted a counter-strategy to resist the US mini-surge and prove that they will not relinquish their military pressure and will thus force the US to negotiate on their terms. President Donald Trump has given the US military the necessary authority and support to break the current stalemate in favor of the Afghan security forces by relying extensively on air power and special-forces operations. The US military operations started last autumn, and even greater military campaign is expected against the Taliban’s field commanders and special units during the next several months. Yesterday’s election in Turkey—which saw a remarkable 87 percent turnout—yielded a victory for strongman Recep Tayyip Erdoğan. This, despite a surprisingly strong opposition challenge that he had not seen before. Unless Erdoğan addresses Turkey’s mounting domestic and foreign policy problems, he and his party will be vulnerable at the local elections in March 2019. To truly sustain his victory, he will need to tone down his populistic rhetoric and cooperate with a parliament that is now much more diverse. According to unofficial results as of writing, Erdoğan received 52.5 percent of the vote—an outright victory, bucking opinion polls that predicted a run-off—with opposition candidate Muharrem İnce receiving 30.6 percent. However, Erdoğan’s AKP (Justice and Development Party) fell short of expectations with 42.5 percent of the vote, regressing by more than 7 points since November 2015. This translates to 295 seats for the AKP in the parliament, short of the 301 needed for a majority. AKP’s ally the MHP (Nationalist Action Party) received 11.1 percent of the vote and obtained 49 seats in parliament, compensating somewhat for AKP’s poor performance. On the opposition side, the CHP (People’s Republican Party) won 22.6 percent, a performance that did not meet predictions and fell short of the 25 percent CHP won in the November 2015 elections. Its electoral ally, the newly formed İyi (Good) party, led by Meral Akşener, won an impressive 10 percent of the vote in its first-ever election. These two parties will have 146 and 43 seats in parliament, respectively. The mostly Kurdish HDP (Peoples’ Democratic Party) contested the elections on its own, and managed to pass the 10 percent threshold for entering parliament, winning 11.7 percent of the vote (67 seats). The election followed a short but intense campaign that took place under the emergency rule, still in effect after the July 2016 coup attempt. While the outgoing prime minister proudly announced that the election was transparent enough to be a model for other countries, the atmosphere was hardly conducive to a level playing field, considering the opposition’s limited access to the media and state resources. The Organization for Security and Co-operation in Europe (OSCE), which has monitored elections in Turkey, has reported irregularities in past elections, and expressedsimilar concern ahead of this vote. It will be interesting to see if the new parliament might address these problems and take action to ensure that Turkey’s next elections are, in fact, free and fair. In January 2018, pictures appeared on social media of the Haiyang Shan, one of the Chinese People’s Liberation Army Navy’s Type 072III-class landing ships, packing an experimental electromagnetic railgun in a huge turret on its bow. Now, the U.S. Intelligence Community reportedly believes this weapon, or one similar to it, will be operational onboard one of China’s warships by 2025. CNBC was first to report on the U.S. intelligence analysis of the Chinese program on June 21, 2018. In March 2018, China’s state-run media had confirmed that the Haiyang Shan was conducting at-sea tests of the weapon, which had already gone through thousands of tests on land, but offered few specific details about its capabilities. China’s interest in electromagnetic weapons dates back at least to the 1980s, but it has been claiming to have made especially significant strides in recent years. 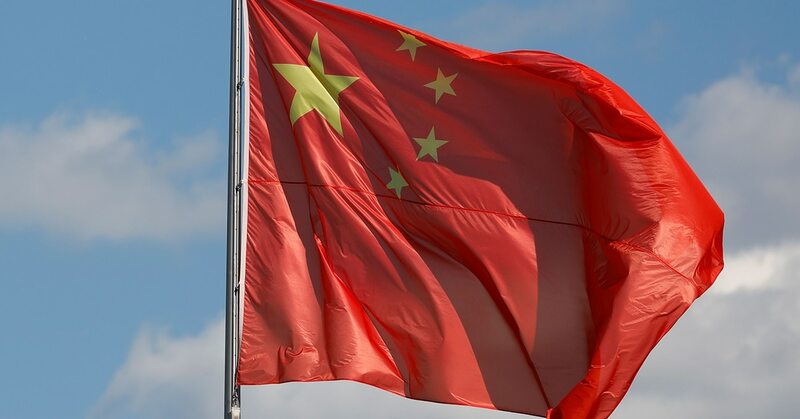 China has borrowed parts of the interference campaign waged against the 2016 U.S. presidential race and has begun deploying Russian-inspired operations abroad, a longtime U.S. diplomat warned Wednesday. Victoria Nuland, a career ambassador and former assistant secretary of state for European and Eurasian Affairs, said during a Senate Intelligence Committee hearing on Russian interference that Beijing has begun emulating aspects of the multipronged campaign waged by Moscow against the 2016 race and Democratic nominee Hillary Clinton. “Other countries and malign actors are now adapting and improving on Russia’s methodology, notably including China which now runs disinformation campaigns and influence operations in Taiwan, Australia and other neighboring countries,” Ms. Nuland said in her opening remarks. President Trump's threat last week to place additional tariffs on Chinese made goods have not only led to counter threats being made by China's leadership, but Stealthcare CEO Jeremy Samide believes the trade situation has spurred China to launch cyber-attacks against the United States. The attacks Samide's firm detected and attributed to China came from the LuckyMouse group, also known as, Emissary Panda, APT27. These were found pushing a new malware strain based on the HyperBro Remote Access Trojan RAT. Another incident involved an espionage campaign dubbed MirageFox, attributed to APT15, also known as Vixen Panda, Ke3chang, Royal APT and Playful Dragon. When Google’s AlphaGo defeated the Chinese grandmaster at a game of Go in 2017, China was confronted with its own “Sputnik moment”: a prompt to up its game on the development of artifical intelligence (AI). Sure enough, Beijing is pursuing launch a national-level AI innovation agenda for “civil-military fusion”. It’s part of China’s ambitious quest to become a “science and technology superpower” – but also a new front in an increasingly worrisome arms race. In 2017, the Chinese president, Xi Jinping explicitly called for the acceleration of military AI research to better prepare China for future warfare against a major adversary such as the US. China’s approach to AI has been heavily influenced by its assessment of US military initiatives, in particular the Pentagon’s Third Offset Strategy, an Obama-era plan that gave the Pentagon a mandate to experiment with cutting-edge weapons technologies, AI among them. If you thought President Trump was just musing when he publicly broached the subject of a U.S. "space force" in recent months, guess again. On Monday, he disclosed at a meeting of the National Space Council in Washington, D.C. that he is directing the establishment of a sixth military branch to address operations in space. And he didn't mince words about what he had in mind: "We are going to have a Space Force. An Air Force and a Space Force. Separate, but equal." That is a stunning prospect, given the modest state of the current military space program. What we have, basically, is a collection of satellites orbiting the Earth that have almost no capacity to defend themselves, much less conduct offensive operations against the orbital assets of other countries. The satellites are crucial to terrestrial civil and military operations -- they consist mainly of communications, navigation, weather and surveillance satellites -- but none of them was conceived with an eye to waging war in space. 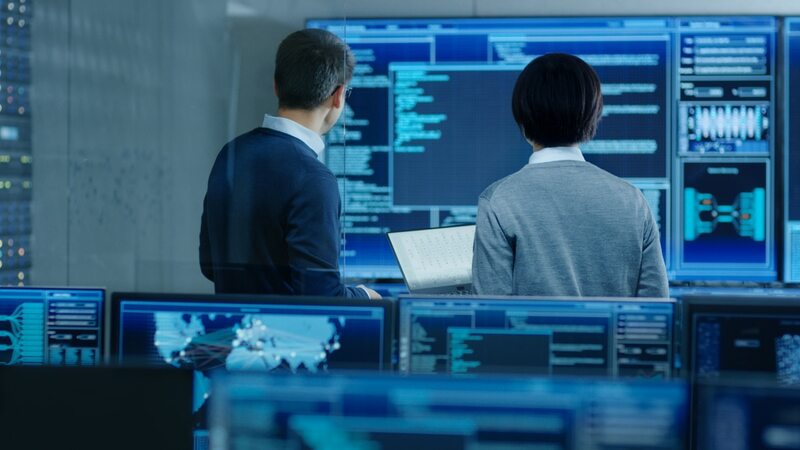 The increased severity of domestic security breaches due to terrorist threats and cyber crime poses a strategic challenge for federal and state security services. The strengthening of human resources, now widely deployed around the world, is not enough to meet the challenge alone. Increasing efficiency and speed, controlling the means of communication used by terrorists, but also, and above all, anticipating the lead-up to such actions, are all challenges that persist. In this mass information age, the ability to handle big data—huge volumes of structured and unstructured data—is absolutely crucial. Being able to analyze and extract key information in the fight against cybercrime as quickly as possible will revolutionize the work of organizations mobilized in this struggle. To increase efficiency, they must expand the data sources examined and optimize the interoperability between their systems. President Donald Trump is looking at sending the US military into space with a newly invented service, the Space Force. Combat in space is not only likely in a war scenario, but could prove highly devastating for those on earth. Most of the fighting would likely involve missiles taking out satellites, and possibly killer satellites and lasers shooting each other down. But a lot of the fighting would be things the US military already does, so many think it's a dumb idea. President Donald Trump is ordering the Pentagon to create the first new US military service branch in seven decades to establish "American dominance in space," and while experts quickly knocked the idea as premature - there's no doubt that space is a warfighting domain. As I write this, the 15th Finance Commission is at work trying to decide the manner in which the taxes levied and collected by the central government–corporate tax, income tax, customs and the central goods & services tax–will be distributed among the states of India. There are two steps in this: the first is determining the share of all states in the central taxes, and the second is the ratio in which the taxes will be distributed among the various states. The previous finance commissions have generally increased the share of central taxes that are distributed among states. (The 14th finance commission increased the share of states in the central taxes from 32% to 42%.) It is quite possible that the current finance commission will do the same, and an even higher share of central taxes will now ‘devolve’ to the states. What does the rise of electric vehicles mean for two critical raw materials that go into their batteries—and for the players in this ecosystem? The electric-vehicle (EV) revolution is ushering in a golden age for battery raw materials, best reflected by a dramatic increase in price for two key battery commodities, lithium and cobalt, over the past 24 months. In addition, the growing need for energy storage, e-bikes, electrification of tools, and other battery-intense applications is increasing the interest in these commodities (Exhibit 1). In an open letter published by Gizmodo, Amazon staff have called on CEO Jeff Bezos to stop selling facial recognition technology to law enforcement and government agencies, due to the potential that the tech is used to “harm the most marginalized.” This follows similar demands from Microsoft employees and Google workers over those companies’ contracts with Immigration and Customs Enforcement (ICE) and the Department of Defense, respectively. The stakes are high for President Trump’s nascent Space Force because a poorly integrated service is a price America cannot afford to pay. This means a careful, thoughtful, conditions-based approach must be followed to assess if and when an autonomous military space organization will provide the best path forward. All four services will contribute to a Space Force and they won’t be alone. 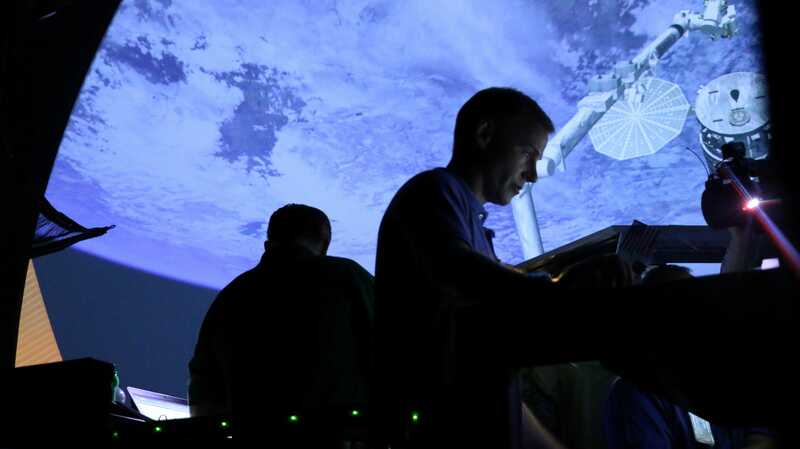 The National Reconnaissance Office, the National Geospatial Agency, the Missile Defense Agency, and elements of others such as NASA and the National Oceanic and Atmospheric Administration who are in the business of maintaining space situational awareness and space traffic management functions may all come together. As machines increasingly complement human labor in the workplace, we will all need to adjust to reap the benefits. Automation and artificial intelligence (AI) are transforming businesses and will contribute to economic growth via contributions to productivity. They will also help address “moonshot” societal challenges in areas from health to climate change. At the same time, these technologies will transform the nature of work and the workplace itself. Machines will be able to carry out more of the tasks done by humans, complement the work that humans do, and even perform some tasks that go beyond what humans can do. As a result, some occupations will decline, others will grow, and many more will change. The National Security Agency has moved most of the mission data it collects, analyzes and stores into a classified cloud computing environment known as the Intelligence Community GovCloud. The IC GovCloud is a single integrated “big data fusion environment” that allows analysts to rapidly “connect the dots” across all NSA’s data sources, according to Chief Information Officer Greg Smithberger. The impetus for the multi-year move is getting the NSA’s data, including signals intelligence and other foreign surveillance and intelligence information it ingests from multiple repositories around the globe into a single data lake analysts from the NSA and other IC agencies can run queries against. Do We Need Trump’s “Space Force”? President Donald Trump’s call this week that to create a sixth branch of the U.S. military — which he called the “Space Force”— has reopened a wider debate about whether such a move is necessary to better manage military space activities. While the idea of a separate, space-focused military branch is not new, Trump’s surprise announcement caused a buzz on social media and news outlets. “When it comes to defending America, it is not enough to merely have an American presence in space. We must have American dominance in space,” Trump said in a speech before a meeting of the National Space Council at the White House Monday (June 18). “I’m hereby directing the Department of Defense and Pentagon to immediately begin the process necessary to establish a Space Force as the sixth branch of the armed forces. That’s a big statement.